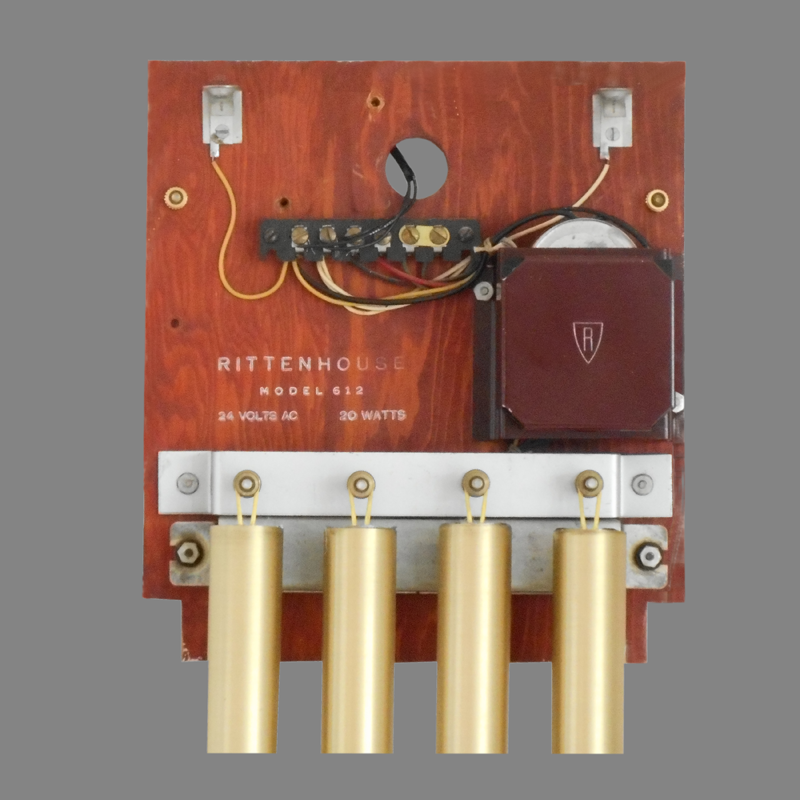 The Rittenhouse Concord was a musical doorbell chime clock styled for a mid-century aesthetic. Marketed from approximately 1954 to 1957, the Concord was relatively short-lived. The Concord was succeeded by the Rittenhouse Trent. 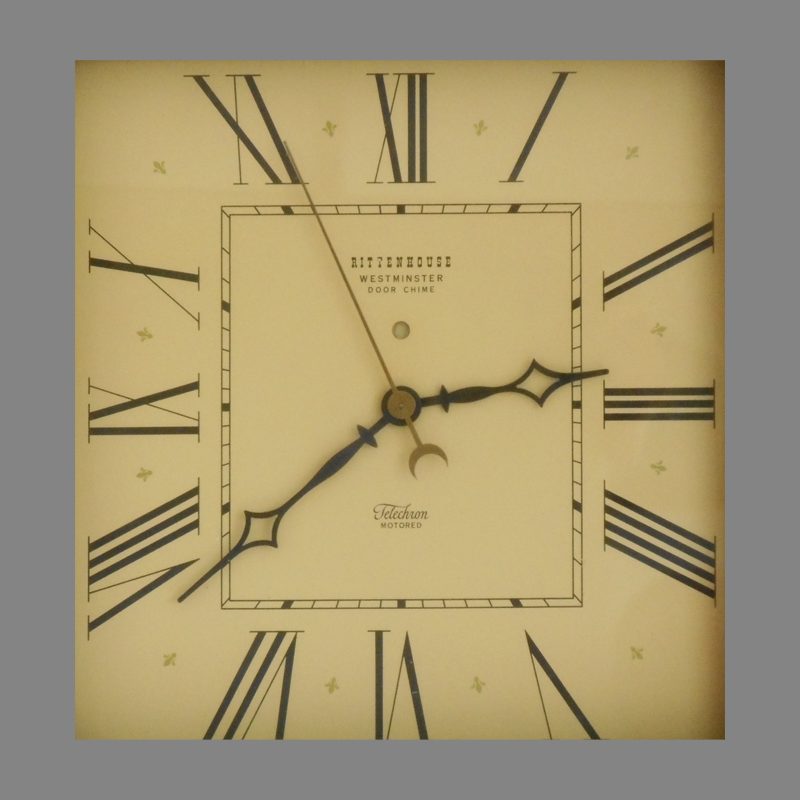 Nonetheless, it remains a handsome chime with a Telechron-motored electric clock. The Concord was available in an eight-note and four-note configuration with a choice of wood cases. The model 612, shown here, employed a reliable rotary sequencer to sound an eight note Westminster peal. 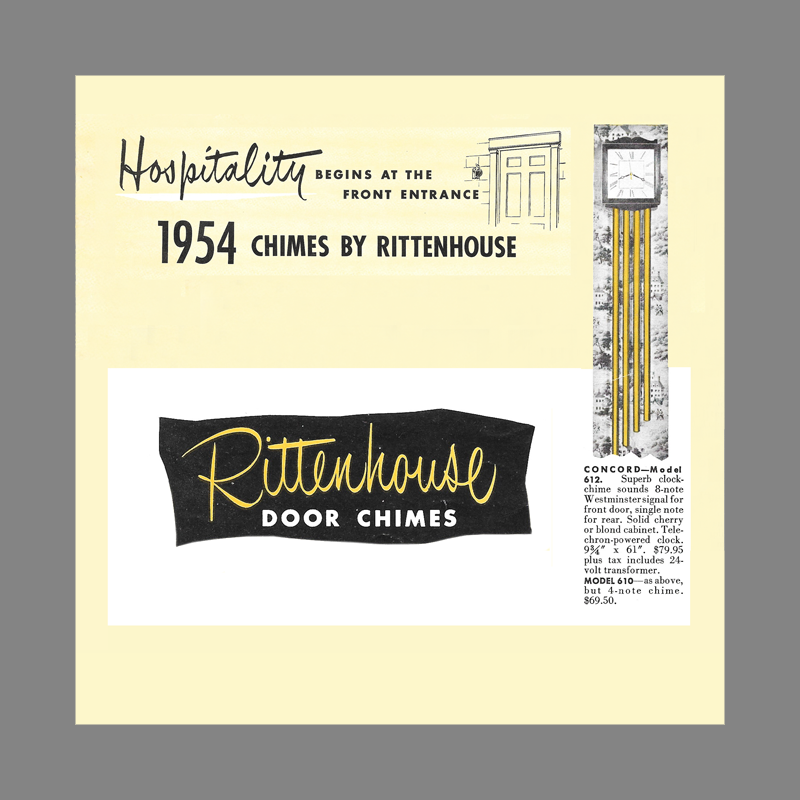 The model 610 played four notes using a later model Rittenhouse Rhythm Master sequencer. Concord—Model 612. 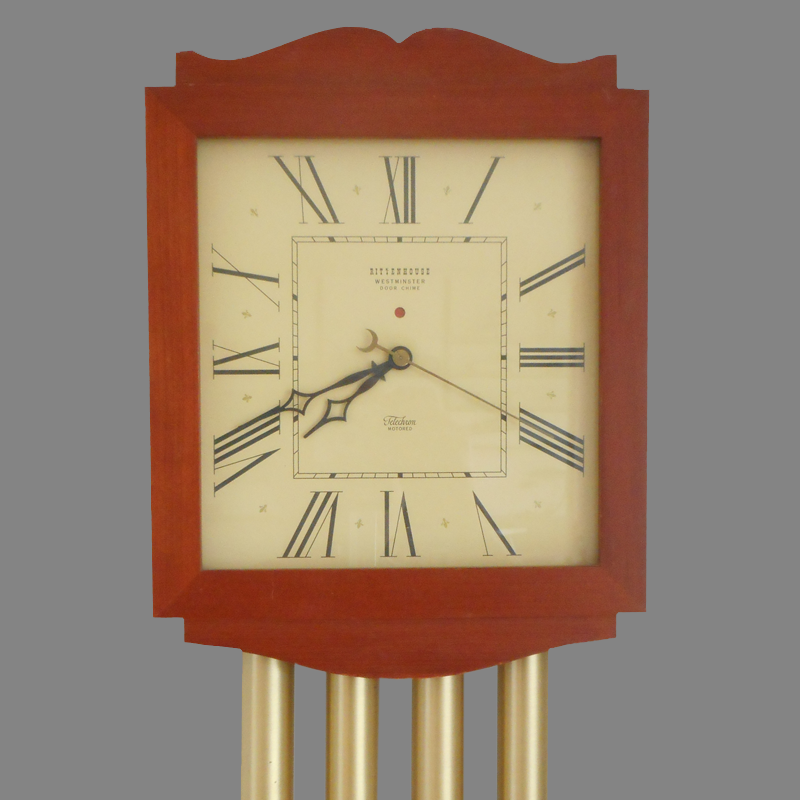 Superb clock-chime sounds 8-note Westminster signal for front door, single note for rear. Solid cherry or blond cabinet. Telechron powered clock. Model 610—as above, but 4-note chime. Notes ElectraChime collection. Original condition. Restored tubes.